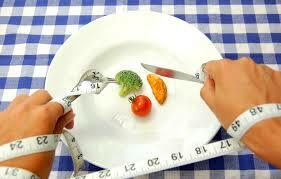 Fad diets are generally targeted to people who want to gain weight quickly. This article will explore just some of the dangers that fad diets could pose to your health. For people who constantly diet, starting a new one provides them with euphoria associated with hopes, motivation and drive to get back on track and lose weight. When this inevitably fails (because fad diets don’t work) they move onto the next one, which is just as damaging as the one before. This turns into a cycle of addiction that can be difficult for many people to break. Many people blind themselves with false hope when it comes to fad diets, convincing themselves that it’ll work. But when go on a fad diet or cut a whole food group out of your diet you aren’t getting enough nutrients. This can be incredibly damaging to your health. When these diets fail people tend to blame themselves for not doing it properly. When in reality they just don’t work. This can end up affecting your self-esteem, which can lead to emotional eating or overcompensate with an even stricter diet. Losing or gaining weight quickly is unhealthy. A slower, steadier approach is far better for you. Both do take a lot of effort, but if you’re committed it is more than possible. A healthy lifestyle requires healthy eating (which may include meal plans), exercise and being able to say no when it comes to unhealthy foods and drinks. The best way to get healthy is through lifestyle changes, not a quick fix diet. 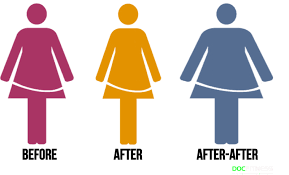 The process to constantly changing diets can actually decrease your metabolism and make you gain weight. This may then lead to frustration and negative body image. This can really affect your physical health when it comes to fad diets as you could start craving and binging foods and disrupt your body’s natural ability to monitor food intake. Most fad diets are far too low in calories and sooner or later, you will have to return back to normal eating, as they are not sustainable. When this time comes many people overcompensate with extra calories to satisfy their intense hunger and the feeling that they have failed. When you’re in a cycle of ignoring hunger pains followed by binge eating, then you will eventually not be able to tell the difference between actually being hungry and being full. So there you have it, just a few of the many ways that fad diets are bad for you. Many people still partake in fad diets and are misinformed by clever marketing.